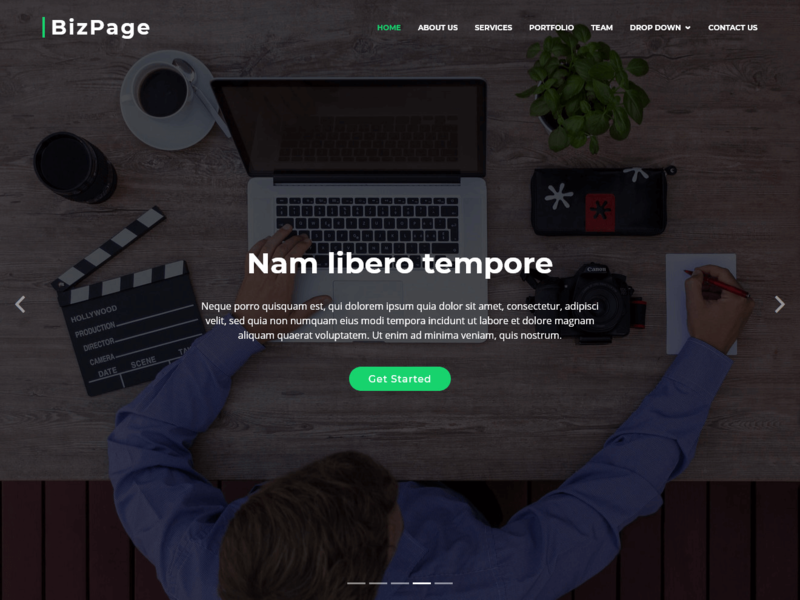 BizPage is modern, visually stunning and creative multipurpose corporate Business HTML 5 template built with Bootstrap framework. The sectioning code structure method is used to build the BizPage theme which allows you to navigate the code easily and customize it with no efforts. You can build your stunning website with this free bootstrap business template. BizPage is suitable for business, corporate, consulting, consulting firms, finance, advisors, accountants, coach or any other company which needs a professional way to showcase their projects or services on the web.